How many minutes of strength training do I need to do? The answer to this question needs a more nuanced discussion because it depends on what your training goal is and how strength training can help to achieve that goal. Do you want to become stronger? Do you want to maximize muscle mass? Do you want to endure longer? 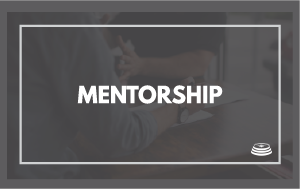 Or you basically want to work on the technical development of certain strength training exercises in order to achieve more strength or power later? If you have read any of my articles before, or watched any of my videos before, I have outlined, that not all strength training exercises are created equal. Some exercises reap bigger benefits than other exercises. For example, the Olympic Lifts can reap a lot of benefits if you know how to execute them correctly. And in order to learn the Olympic Lifts or variations of the Olympic Lifts, you need to make quite a bit of time for technical training or skill training to master these lifts before you reap the benefits. I guess, my athletes can affirm the countless hours of technical training they had to put in. 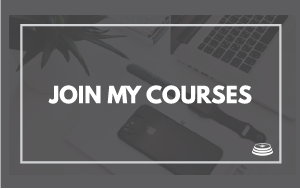 It’s not that easy to define an exact number of minutes, but let me take you through my thought process how to determine the number of minutes you need to train to achieve your training goal. In my opinion, the best way to figure out how many minutes you should train is to look at the work rest ratio. 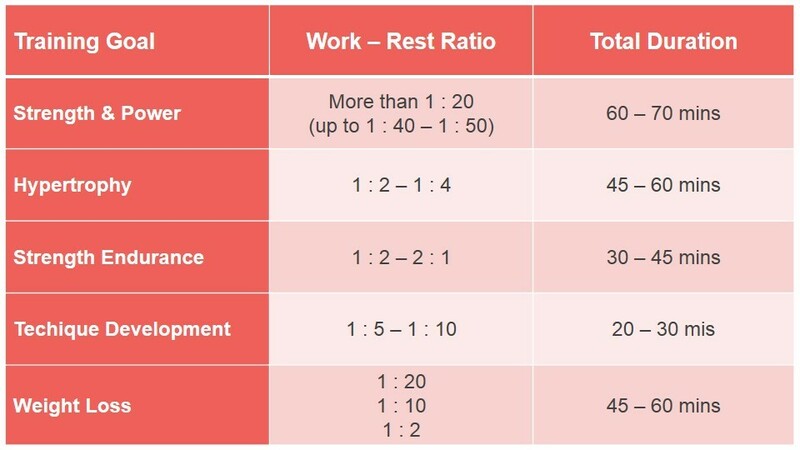 The work to rest ratio describes the relationship between work and rest and depending on what outcome you want to see, you need to have the right relation between work and rest. This work to rest ratio is determined by which energy system you need for that particular training. Let’s take an applied example of a maximum strength training and/or power training since you need the same energy system. 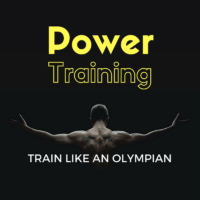 Whilst they use the same energy system, strength training and power training are not the same things, check out the article Power Training vs Strength Training – what is the difference between Strength Training and Power Training? In order to have the highest force output or power output, you are relying on the so-called ATP-CP system or the Phosphagen system. This energy system provides a high amount of energy for a short period of time, up to 6 seconds to a maximum of 10 seconds. This is the reason, why 100-meter sprinters can maintain their maximum speed up to 80 – 90 meters before the speed is starting to drop. For ATP-CP energy system to restore, it takes more time to restore. Generally speaking, 90% of this energy system is restored after 1 minute, but to completely restore the ATP-CP system, it can take up to 3 to 5 minutes. You might find a different number in the literature, however, the general consensus is 3 to 5 minutes. But let’s not get stuck on numbers, it’s more important to understand the principle. Therefore the minimum work to rest ratio in the outlined example is 1 – 18. 10 seconds of work, followed by 180 seconds (3 minutes) of rest, means for every second you worked you need to rest 18 seconds. You can then multiply this number (work + rest) by the number of sets and the number of exercises. Let’s go through the examples of the different training goals. If you want to become stronger and more powerful, the work to rest ratio is a minimum of 1 – 20, but it can also be even higher, around 1 – 40 or 1 – 50. That means, for every second of work, you need to take at least 20 seconds of rest, depending on the training intensity and exertion level, it can be 40 or 50 seconds for each second worked. If you now add up the total repetitions and the total number of sets, you can conclude that the total duration of maximum strength training (and/or power training) is somewhere between 60 to 70minutes. Please keep in mind, these numbers are not written in stone; some people might choose for a lower volume and lesser duration, some people might choose for a higher volume and longer duration. It’s a guideline. For muscular hypertrophy, the work to rest ratio is lower, around 1 – 2 to 1 – 4. For every second of training (work), you take 2 – 4 seconds of rest. There are a few factors influencing the work to rest ratio, as well as the rest periods when you train for muscular hypertrophy. A quick recap, functional hypertrophy is determined by higher training intensities and lower repetitions, and the total time under tension in a training set is 25 – 40 seconds. Non-functional hypertrophy is determined by lower training intensities and higher repetitions, and a total time under tension of 40 – 60 seconds. Another factor to consider is whether you are ‘complexing’ exercises or not. Complexing refers to combining to exercises, hence you do one set of exercise A, followed by a set of exercise B. All complexes have a specific purpose and place in training, however, all of these complexes usually have shorter rest times between the two exercises, which reduces the total time of the training. The total duration of a hypertrophy training session is somewhere between 45 to 60 minutes. For once because rest periods between sets are shorter, plus studies have shown that after 45 – 60 minutes the hormonal environment changes, and you accumulate more stress hormones, such as Cortisol, which is counterproductive for your muscular gains. The work to rest ratio for strength endurance is even lower than for muscular hypertrophy, between 1 – 2, or even 2 – 1, which means you work (train) more, than you rest. The rest period is dependent, whether you do a circuit training or station training. Another variation of the circuit training is to use timed sets, so you do as many reps as you can in a given time before you move to the next station. Whether you choose to do a circuit training or a station training influences the work to rest ratio. A circuit training usually has lower work to rest ratios, between 1 – 1 or 2 – 1. Typical circuits can range from 20 sec on / 20 sec off, 30 sec on / 30 sec off, as examples for a 1 – 1 work rest ratio, or 20 sec on / 10 sec off, 30 sec on / 15 sec off or 40 sec on / 20 sec off, as examples of a 2 – 1 work to rest ratio. A station training has higher work to rest ratios, usually 1 – 2, which can be 20 sec on / 40 sec off or 30 sec on / 60 sec off. From a technical standpoint, lower work to rest ratios tends to be more difficult in a station training, since the accumulated fatigue is quite high. The only workable option would reduce the training intensity to delay the accumulated fatigue effect. The total duration for strength endurance session is usually between 30 to 45 minutes, with a maximum 60 minutes. What is the right work to rest ratio for technique training? The theory is, that if you want to improve your technique, it should be in a state of low fatigue, which means that you need to allow sufficient rest between the sets to recover. However, technique training is done with low to medium exertion, that recovering from the set of technical training wouldn’t take as much time as recovering from a set of higher exertion. So, what is the right work to rest ratio? A state of no fatigue indicates longer rest between sets and an appropriate work to rest ratio is between 1 – 5 to 1 – 10. Because the load is low and the exertion isn’t too high, you wouldn’t need high work to rest ratios, as you need for Maximum Strength Training or Power Training, where also complete rest between sets is required, but the work to rest ratio is above 1 – 20. One more word on the training intensity and technique training. It is often believed, that technical training is done with broomsticks or unloaded barbells. Whilst that might be true in early stages of technical training, effective technique training actually requires you to train with a certain resistance. The secret sauce is, to have just enough resistance to perform the skill optimally. If technique training is done only in unloaded conditions the athletes wouldn’t be able to receive the kinesthetic feedback to be able to feel the right movement pattern and adjust to it. That depends on the level of the athlete, for advanced athletes, it is somewhere between 60 – 70% 1RM. What is the total duration of a technical training session? Also, that depends on the level of the athlete. In our case with advanced athletes, very seldom I do standalone technique sessions. Technique training is always part of an entire strength training workout, where I spend 20 to 30 minutes working on technical key points after the warm-up and before we move onto the ‘real’ strength training workout. For beginners, this can differ, because the strength training essentially is technique training. The athletes that come to me, when they are young, the goal for me is to get them really good at the basic techniques and the fundamental movements. Therefore every training we do at least for the half year or year is a technical training. That does not mean, that we are not working with loads, but it means the emphasis and goal of the training are on the quality of the movement and the best possible technical execution of a given exercise. And then the total training is somewhere between 45 to 60 minutes. How long does a strength training session need to be to lose weight? Against the common believe you need to train long hours to lose any weight, pretty much the opposite is true. If you want to lose weight, strength training can help you by maximizing energy expenditure and promote a hormonal environment, that helps to lose weight. 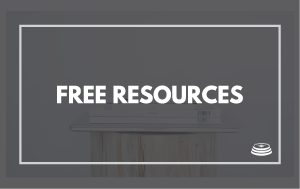 I have written an entire article outlining the basic weight loss formula, different strength training methods to support weight loss and example training programs. Before wrapping up, here a quick overview of the different work to rest ratios and training durations for the specific training goals. Concluding How many minutes of strength training should you do? How many minutes of strength training you should do depends on your training goal. Every training goal requires different training methods, including different work to rest ratios. If you want to gain strength and / or want to become more powerful, you need to work with higher work to rest ratios, which increases the total length of your strength training workout. If you want to build muscle mass or improve strength endurance, work to rest ratios are lower and the total training session is shorter. For technical training work to rest ratios are higher, but due to lower exertion levels, the total rest between the sets is also shorter. 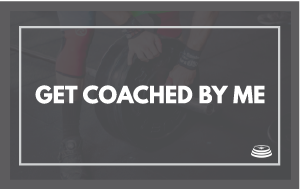 In addition to that, it depends on whether you do a standalone technique session, which is appropriate for beginner athletes, or whether you do the technical training as part of your strength training session, which we do with our advanced athletes.